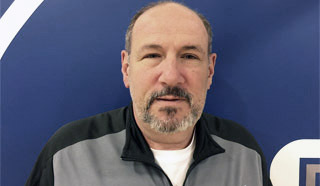 Jim Dimino begins his second year a Girls Basketball Coach. For over 25 years Jim has been a coach at all levels of the game, including stops at Raritan Valley College for six years and the Hunterdon United AAU Program. The founder and Director of the Nothing But Net Girl's Pre-Season Clinic, which is entering its 21st year, Jim has been associated with Immaculata's basketball program since 1995 when his daughter, Jamie, began her four year stint playing. His philosophy is that basketball, or any other activity in which one participates is an integral part of the high school experience. As such, it allows him the opportunity to not only teach about basketball, but it allows him to give valuable life lessons to our Spartan student-athletes. Coach Dimino feels blessed that he has had the opportunity to work with so many outstanding players over the years and is always excited to see what these young men and women have become. "Immaculata is a wonderful place to work and coach," says Coach Dimino. "The second generation of my family will now begin their high school careers at IHS. My grandson, James, will begin this year, followed by my granddaughter, Sophia, in 2019." After a 26 year career in law enforcement, Jim also serves as Director of Safety & Security, Assistant Director of Student Affairs & Athletics, Introduction to Criminal Justice Instructor and Marian Scholar Mentor. Coach Dimino asks that "you come out and support all of our teams. Girl's Basketball will be very exciting this year. We're growing and we're hungry for a winning season. We are SPARTAN PROUD!"